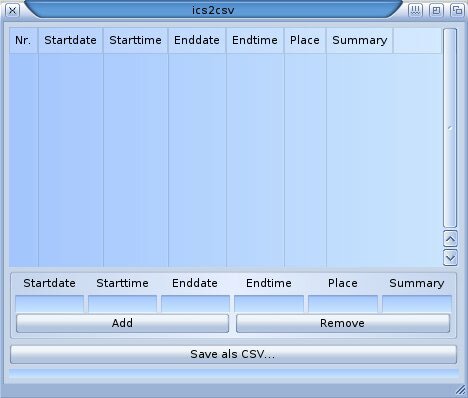 Description: A tool to convert iCalendar files to CSV by Carsten Siegner. Load iCalendar files and convert it to CSV. You can edit the loadet data. With Shell Interface and MUI GUI.